In the heart of England there is a beautiful historic town, filled with fascinating and quaint listed buildings, a town to be explored and loved ... Kenilworth, Warwickshire. Nestled in the very core of this town, Loweridge House has a history of its own. Built back in the mid 1800’s this early Victorian property has had multiple uses, and is now the home to Andy and Marian. Originally a fully detached house, this was once split into two semi-detached houses. The larger of two then became an old people’s home before eventually being transformed into the ‘Loweridge Guest House.’ Before becoming the home to Andy and Marian. The house is a Grade II listed building, meaning the exterior must stay looking as it always has, so Andy and Marian set about gutting the interior of the building for a huge refurbishment. As the building had been a functioning guest house, the layout was almost ‘up-side down’ with the guest bedrooms on the ground floor and the kitchen and utility rooms upstairs. To solve this, an extension was added on the ground floor to allow for a large open plan kitchen/diner and living area with the main entrance to the building swapped back to its original front door entrance, meaning on entry to the house the kitchen was downstairs. The extensive and delicate works took no less than a year and a half to complete. The kitchen is an important room in any home, often forming the heart and becoming the centre of a whole range of activity. Marian remembers: “We knew exactly how we wanted the kitchen to look.” Sometimes a blank canvas can be hard to work with and having the full freedom of choice can be slightly overwhelming. 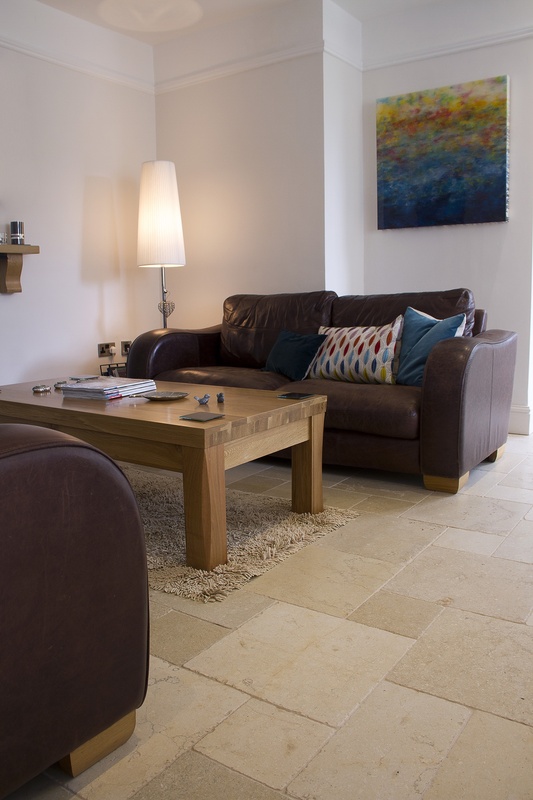 Nonetheless Andy and Marian chose the natural stone flooring tiles first to set the tone, the rest came later. 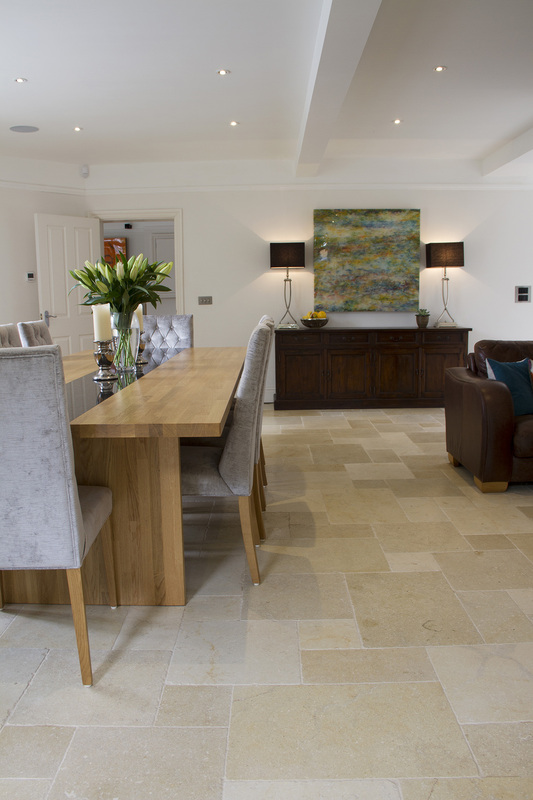 The natural stone tile they chose for the large kitchen/diner was Limestone - Chateau Grey. A stone that usually relates to a beautiful rustic farmhouse look and feel, yet for the Loweridge house kitchen the tiles enhance a clean and classy look. It was important for the couple to have an even spread of character on the natural stone but not so much that it was overwhelming. 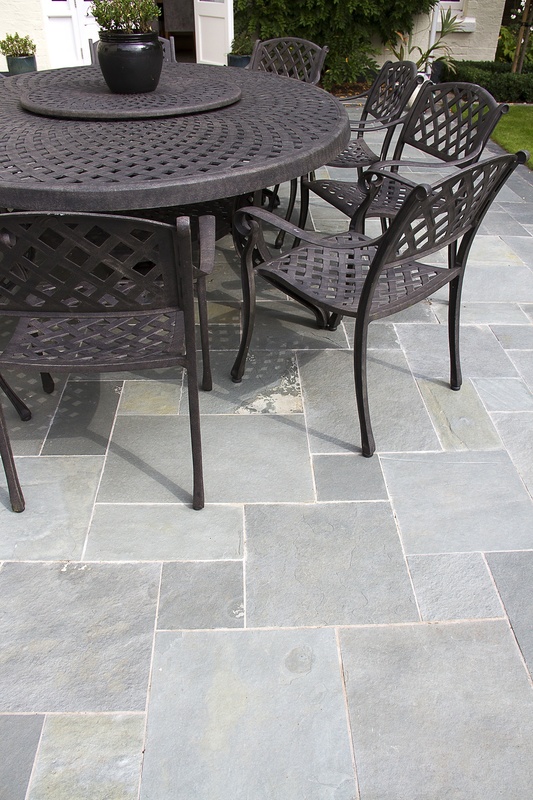 The same went for the texture, Marian mentions: “We wanted them to be rough but not too rustic.” They opted for a tumbled edge, an excellent and tasteful choice, adding a slightly worn look to the natural stone. The room is flooded with natural daylight from the large skylight above the kitchen area, which teamed with the warm orange lights in the ceiling, ensures the limestone tile flooring is enhanced in appearance from every direction. Marian said: “The floor is easy to maintain and the patterning in the tiles helps to hide any spillages!” The kitchen has endured numerous parties and other social events, and Andy and Marian have never noticed any discolouring in the tiles. The kitchen has underfloor heating so there is no worry of cold feet in the winter, making it the perfect choice for a liveable, lovable kitchen. Marian commented on not having any problems while working with Kinorigo and mentions the tiler we recommended did a brilliant job installing the chateau grey tiles.